Qatar Airways, with a five star service of excellence will soon be landing in Costa Rica. The airline says that though establishing direct flights is almost impossible, there is a huge opportunity to capture tourism of some of the world’s richest Arabs. The connections that would be used by Qatar to tranship passengers to and from Costa Rica could include Argentina, Brazil, US, Canada and maybe even Spain that has regular direct flights from Madrid to San José’s Juan Santamaría international airport. The service is based on an agreement singed between representatives of the governments of Costa Rica and Qatar, making it the first such agremeent Costa Rica would sign with a Middle Eastern country. The agreement would close the gap and promote Costa Rican tourism to Qatar and possible the rest of the Arab world. Alan Flores, Costa Rica’s minister of Tourism is upbeat on Qatar making more than just flights into Costa Rica, but possibly operate routes within the country, referring to the Liberia airport in Guanacaste. Air transport links are vital to an economy that focuses on tourism as an engine for economic development. 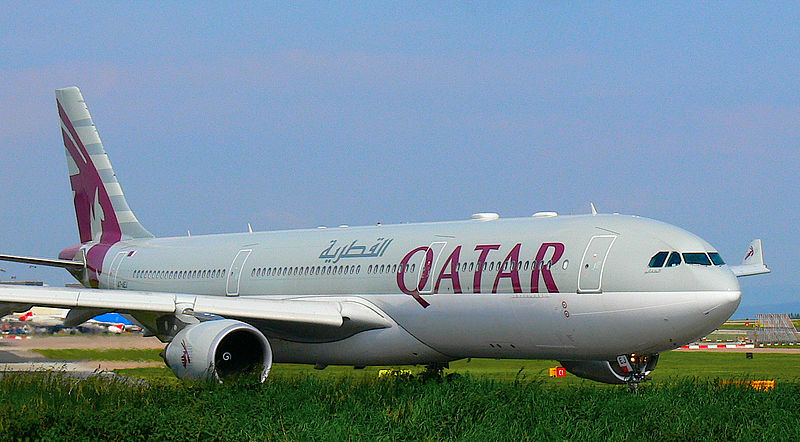 Qatar Airways, is the state-owned flag carrier of Qatar. Headquartered in the Qatar Airways Tower in Doha, it operates a hub-and-spoke network, linking over 100 international destinations from its base in Doha, using a fleet of more than 100 aircraft. Qatar Airways operates services across Africa, Central Asia, Europe, Far East, South Asia, Middle East, North America, South America and Oceania, and was named Airline of the Year 2012 at the Skytrax World Airline Awards. The airline has more than 20,000 staff, with 14,000 people employed directly and a further 6,000 in its subsidiaries. Qatar Airways will join the oneworld alliance August 2013, according to announcements by CEO Akbar Al Baker and oneworld 8 October 2012. Next articleLady Gaga, in the age of glory. Concert at 8pm tonight!